The definition of plastic is able to be shaped, or made of man made polymers. An example of something plastic is Play-Doh modeling compound. An example of something plastic is a bottle made of man made polymers. Plastic is an organic compound produced from man made polymers, or slang for a credit card. The first plastic was invented in 1855 by Alexander Parkes who invented an imitation ivory out of cellulose that he deemed Parkesine. This material, the first cellulose-based plastic would later be known as celluloid. In 1909 synthetic plastics made from chemicals such as formaldehyde and phenol were invented by the Belgian-American inventor Leo Baekeland. They eventually became known as Bakelite. It was much less flammable than cellulose, more durable, and easier to produce. PVC, often used to make pipes, was first plasticized in the mid-1920s and became a popular replacement for other plastics. It can be made thin and extremely pliable, for use in products such as shrink wrap. Styrofoam was invented in the early 1940s. 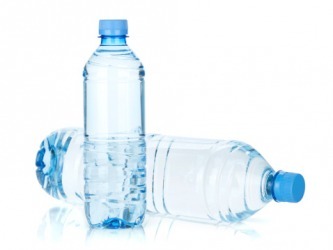 An example of something plastic is a water bottle. An example of plastic is a Visa credit card. "plastic." YourDictionary, n.d. Web. 17 April 2019. <https://www.yourdictionary.com/PLASTIC>. Capable of being shaped or formed: plastic material such as clay. See Synonyms at malleable. Physics Capable of undergoing continuous deformation without rupture or relaxation. a. Capable of building tissue; formative. b. Able to change and adapt, especially by acquiring alternative pathways for sensory perception or motor skills. Used of the central nervous system. Marked by artificiality or superficiality: a plastic world of fad, hype, and sensation. Informal Of or obtained by means of credit cards: plastic money. Informal A credit card or credit cards: would accept cash or plastic in payment. Latin plasticus from Greek plastikos from plastos molded from plassein to mold ; see pelə-2 in Indo-European roots. Greek plastikos fit for molding ; see plastic . Any of numerous substances that can be shaped and molded when subjected to heat or pressure. Plastics are easily shaped because they consist of long-chain molecules known as polymers, which do not break apart when flexed. Plastics are usually artificial resins but can also be natural substances, as in certain cellular derivatives and shellac. Plastics can be pressed into thin layers, formed into objects, or drawn into fibers for use in textiles. Most do not conduct electricity well, are low in density, and are often very tough. Polyvinyl chloride, methyl methacrylate, and polystyrene are plastics. (archaic) Any solid but malleable substance. (colloquial) Credit or debit cards used in place of cash to buy goods and services. (slang) Fakeness, or a person who is fake or arrogant, or believes that they are better than the rest of the population. (slang) Fake, snobbish. Usually refers to a person. From Latin plasticus (“of molding"), from Ancient Greek Ï€Î»Î±ÏƒÏ„Î¹ÎºÏŒÏ‚ (plastikos), from Ï€Î»Î¬ÏƒÏƒÎµÎ¹Î½ (plassein). Able to change and adapt, especially by acquiring alternative pathways for sensory perception or motor skills. Used of the central nervous system.